Tapestry is a subdivision in Castle Pines made up of single family homes which feature high end amenities. The neighborhood is adjacent The Ridge Golf Course. You'll find Tapestry tucked away in the center of Castle Pines directly adjacent to the "The Ridge At Castle Pines North" golf course. This small development of several dozen houses is comprised of Berganot Trail, Cottongrass Court, Snow Willow Court, Spikegrass Court and Wetherill Circle. 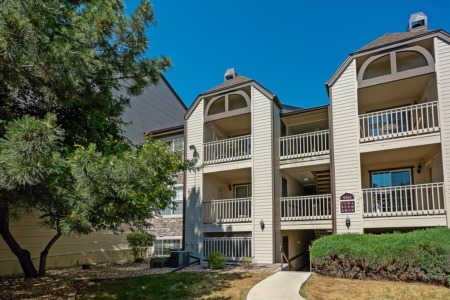 Properties in this cozy little community tend to fetch prices in quite a broad spectrum dependant on which part of Tapestry, Castle Pines you actually buy in. Due to the semi-arid climate in Colorado anyone investing in property in Castle Pines can expect warm summers and equally cold winters, although generally without a lot of snowfall and this is what attracts most people to living in this part of the United States. On top of the obvious weather benefits Tapestry, Castle Pines can also offer you a variety of well appointed homes in a tightly knit, family oriented community with everything you need within a short drive of your home. For your kids there's a range of excellent schools in the area including, but not limited to, Rocky Heights Middle School, Timber Trail Elementary School and of course Rock Canyon High School for your teenagers. Living in Castle Pines also gives you the advantage of being able to enjoy the numerous parks and walking trails in the area with Castlewood Canyon State park and Pike National Forest being worthy of mention. The entire area is designed with conserving nature while still allowing you and your family to enjoy all the splendor which Colorado has to offer. If you have urgent family medical needs these can be taken care of by the Castle Pines Urgent Care Clinic and there's even the Animal Care Centre to take care of any pet emergencies you might have. Your basic shopping needs are taken care of by the shopping area just off the entrance to Castle Pines but if you're pining for more stores then the Outlets At Castle Rock should more than meet your needs. Tapestry, Castle Pines is just a short 20-mile drive from everything the Denver Metro area has to offer and Castle Rock itself is just a quick 7-mile trip to the south, so even if you do need to commute for work Denver International Airport is only a short trip from home. Tapestry offers you an ideal way to get your foot on the property ladder in Castle Pines while still enjoying a very high standard of living.